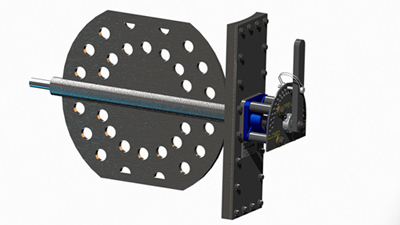 Combustion Technologies (CT) supplies adjustable coal distribution devices for the precise control of mass and velocity. The primary use is in balancing fuel delivery to individual burners of coal-fired power plants. Controlling flow from coal pulverizers to the burners is critical to obtaining optimized combustion. In todays Power Market where both efficiency and reduced emissions are vitally important, the ability to control the coal delivery for combustion is essential to achieving both. CT’s engineered approach to coal control has led to a variety of solutions for coal balancing. 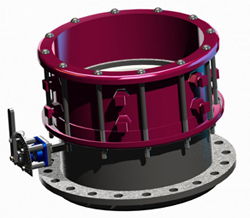 The NT Series (Patent Pending) coal valve was developed to balance coal pipes, while also maintaining/creating a more homogenous coal distribution in the coal/air stream of the coal pipe. This again, is essential for optimizing combustion. The use of the NT valve will allow for reduced NOx, unburned carbon, CO as well as improved boiler performance. It can also lead to decreased slagging and boiler tube wastage. 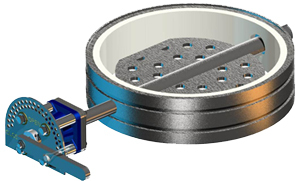 While most restricting type variable orifice coal control devices move coal into more concentrated coal regions (coal ropes), the NT Series Coal Valve uses a (patent pending) perforated blade design. The more the pipe is restricted with the NT Series Coal Valve, the more redistribution of the coal is performed for better combustion. The NT Series Coal Valve was designed for long term reliability and performance – produced with a hardened (AR600 equivalent) steel blade. The NT Series Coal Valves can be used not only to control the coal mass to the burners, but also to control the coal velocity to the burners. Improper coal velocity can lead to coal layout, pipe fires or burner tip fouling (too low of a velocity) as well as to high LOI, CO and tube temperatures (associated with high coal velocity). When the NT Series Coal Valve is used to control velocity positive effects on combustion occur because the coal is evenly distributed within the coal conduit.